PR people need help. They appear to have less understanding of how journalists work than ever before. They don’t appreciate deadlines, the speed journalists work at and the hours journalists now work on 24-hour internet media. Public relations (PR) officers from insurer AXA gave the trade press and the national press different embargoes for the same story on Friday. Embargoed is a small town in Wales, my old ex-national newspaper editor used to say, emphasising the “ed” sound at the end of the word. 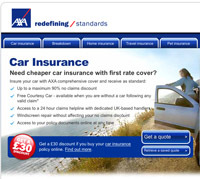 It looks like AXA’s PR people give the embargo about as much respect. The BBC carried a story on a tax hoax phishing email this morning, timed at 01.49. I phoned the out of hours HMRC PR at 9am and he did not have the press release, said he would get it to me about 11am and, so far, still hasn’t. Why are PRs so completely useless? Update: After second chase up call, when release was still not ready, it arrived by email at 12.34, saying exactly the same as the BBC was given 11 hours earlier. 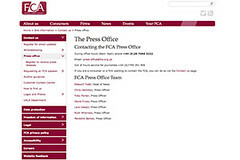 Accountants Ernst & Young issued a press release today (Sunday) but the named PR, Vicky Conybeer, did not have access to a photo of those quoted in the release because she was not in the office. I finally got the figures I needed – though I had to find some via a link on Local Government Chronicle’s website to the Communities department’s site (new window) that the PR had not found. Interesting that the chief PR seems to think the response “but will be Monday before I can come back to you” would be OK for a website that runs seven days a week. When he gets back in on Monday he’ll find several more emails from me and that I have found the missing figure on his own website. An email to my MP asking whether I should complain about the Communities PR team to the minister or head of the Civil Service elicited a response, at last. I called Matthew Gorman there on 15 December. I asked for the amount of council tax collected and the cost of collecting it, plus the amount of council tax benefit paid and the cost of paying it. I was given this information ten years earlier by the predecessor department for an article in the Guardian.